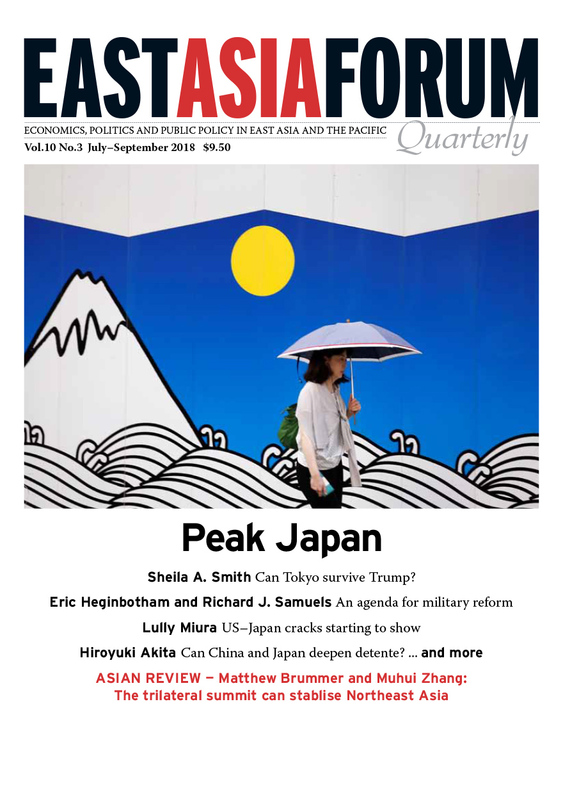 East Asia Forum Quarterly has grown out of East Asia Forum (EAF) online which over the past year has developed a reputation for providing a platform for the best in Asian analysis, research and policy comment on the Asia Pacific region in world affairs. EAFQ aims to provide a further window onto research in the leading research institutes in Asia and to provide expert comment on current developments within the region. The East Asia Forum Quarterly, like East Asia Forum online, is an initiative of the East Asia Forum (EAF) and its host organisation, the East Asian Bureau of Economic Research (EABER) in the Crawford School of Economics and Government in the College of Asia and the Pacific at The Australian National University.